On a visit to India last month, US Ambassador to the United Nations Nikki Haley said she had told Prime Minister Narendra Modi that the US hoped India would lessen its dependence on Iranian crude. US President Donald Trump’s extraordinary all-caps tweet threatening Iran’s President Hassan Rouhani with “CONSEQUENCES THE LIKES OF WHICH FEW THROUGHOUT HISTORY HAVE EVER SUFFERED” dramatically escalated tensions between the two countries Monday, coming as it did after Rouhani warned the US not to “play with the lion’s tail”. Reimposed US sanctions on Iran go into force November 4, and on a visit to India last month, US Ambassador to the United Nations Nikki Haley said she had told Prime Minister Narendra Modi that the US hoped India would lessen its dependence on Iranian crude. 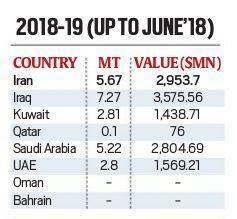 Indian oil imports from Iran in the first three months of this year have totalled 5.67 million tonnes, more than the 5.22 MT from Saudi Arabia, and less than only the 7.27 MT import from Iraq among the countries in the Middle East, Lok Sabha was told Monday. Minister for Petroleum and Natural Gas Dharmendra Pradhan said in response to a starred question from Supriya Sule (NCP) and Mullappally Ramachandran (Cong) that “Indian refineries import crude oil from diverse sources including Iran, depending on technical and commercial considerations”. 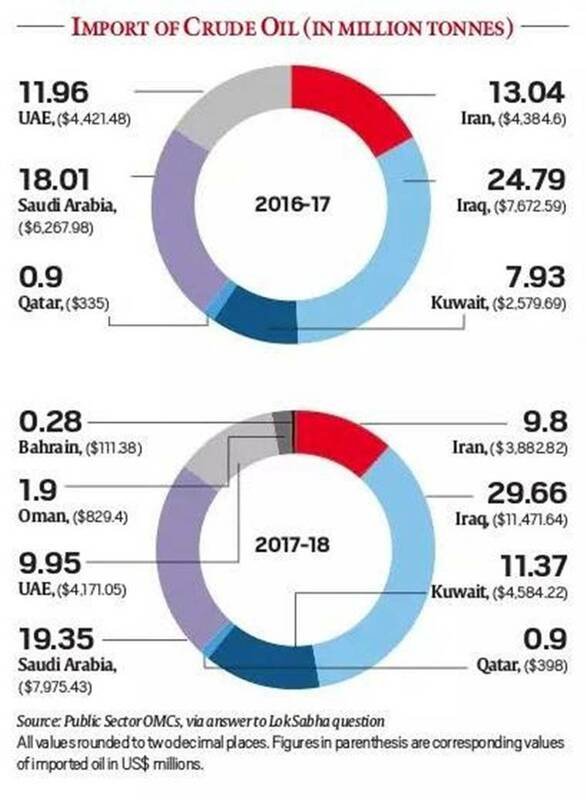 Besides the Middle East, Indian crude imports come from countries including Nigeria, Venezuela, Egypt, and now, the United States. Outgoing Chief Economic Adviser Arvind Subramanian is keen that India experiment with the idea of a Universal Basic Income (UBI) as a way to redistribute resources with greater fairness and efficiency, and less leakage and corruption. While conceding the existence of “considerable implementation challenges”, the Economic Survey 2016-17 devoted an full section to UBI, asking that “serious consideration be given to the new idea as a more effective way of achieving Mahatma Gandhi’s objective of wiping every tear from every eye”. Earlier in October 2016, Subramanian had outlined a proposal for an unconditional cash transfer of about Rs 10,000-Rs 15,000 anually to every citizen, which could possibly replace the 1,000-odd poverty elimination schemes that the government currently runs. In recent years, the idea of a UBI has gained significant currency in mainstream public policy thinking worldwide. Annie Lowrey, who covered economic policy for The New York Times, and now works for The Atlantic, has written Give People Money: How a Universal Basic Income Would End Poverty, Revolutionise Work, and Remake the World, probably the first book that brings UBI out of the realm of dry policy and adds to it people and communities, telling stories from around the world that make the case powerfully. UBI, she says, is a “simple, radical, and elegant proposal” — it is “universal in the sense that every resident of a given community or country receives it”, it is “basic in that it is just enough to live on and not more”, and “it is income”. Whether India is ready for UBI is a matter for debate — former NITI Aayog Vice Chairman Arvind Panagariya told The Indian Express in January 2017 that “at the current level of income and our needs for investment in health, education, infrastructure and defence, we simply do not have the… resources to transfer a reasonable basic income to 130 crore Indians”. Lowrey’s book could contribute to the discussion.